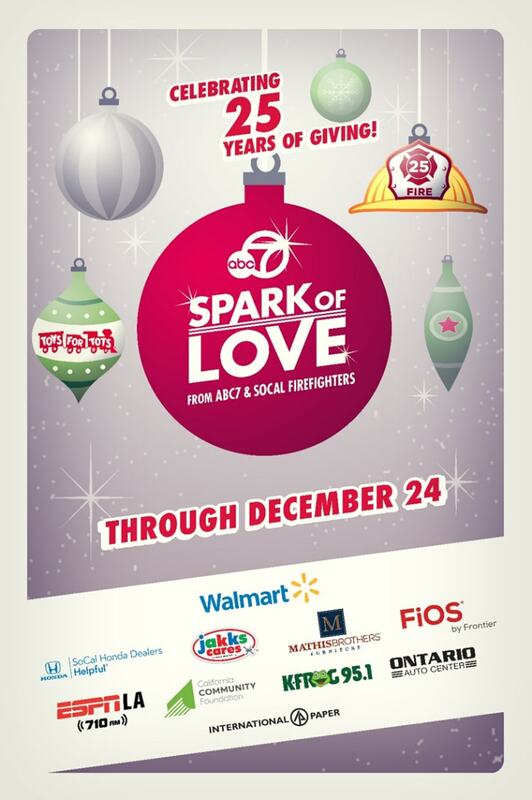 The Alhambra Fire and Police Departments are proud to continue our long-held charitable partnership with ABC 7, Alhambra Unified School District and the YMCA of West San Gabriel Valley!The Spark of Love Toy Drive continues to be a vital pillar to our communities in need during the holiday season. Share in the spirit of giving by donating a new, unwrapped toy and/or sports equipment for a child or teen in need. Collection bins are available at all Alhambra Fire Stations, City Hall, the YMCA of the West San Gabriel Valley.